This jacket is from the super kid-chic brand, Morgan and Milo, and I’m in love with it! I love navy and green both. Together, it’s the perfect cold-weather combo! 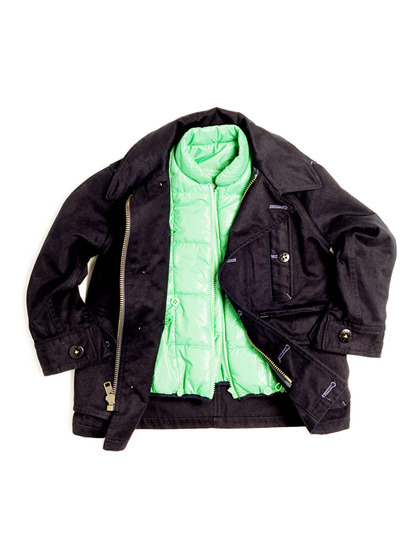 And it’s a 2-in-1, twill parka and comfy puffer coat, which also makes it a 3-in-1… seasons that is! A definite must have for my middle America kiddos.